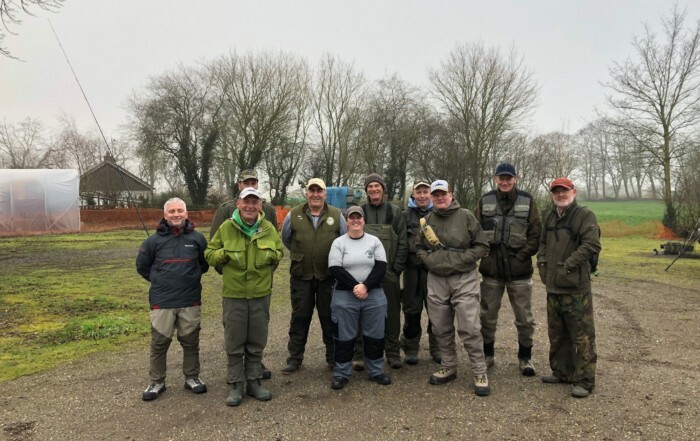 Trevor Sturge, along with Simon Deal, Jason O'Dell and Ken Whitmore had spent the best part of a day cutting out and raking 19 swims, including about 10 upstream of the boat moorings. This meant we effectively had a ‘new’ venue compared to the previous few years. The new swims certainly looked good, lined both sides with reeds, about 7 – 8’ deep and with the occasional lily pad. Mr Gwyn tinca was certainly optimistic of a few tench to keep up his reputation and it seemed clear why this section had a history of some good bream catches. However, with minimal flow and no colour, conditions were not ideal and so Trevor decided to divide this match into two sections, the known and unknown, below and above the moorings. 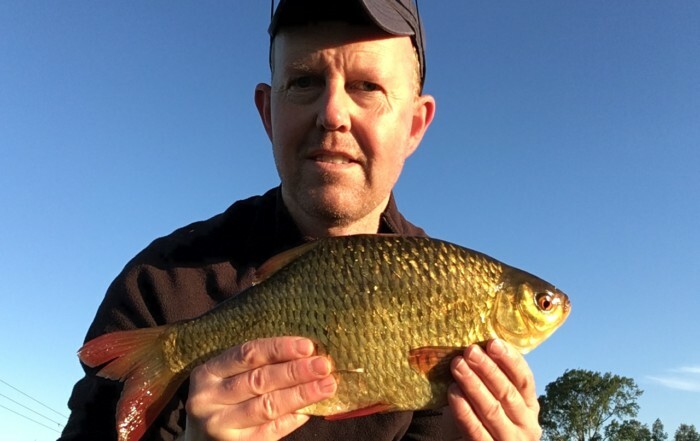 As it turned out this was a fair decision as the new swims didn’t live up to expectation with the average catch being only half that of the usual swims, almost 5 lb vs. 10 lb. One or two managed better than average, Gwyn for example with 10 lb 11 oz from a new peg 9, even without the usual tench, but it was the old favourites (swims that is) that won the day with Jason on peg 1 making the most of his draw with 18 lb of roach/rudd and the two Kevins matching each other from adjacent swims to end only 2 oz apart each with just under 15 lb. 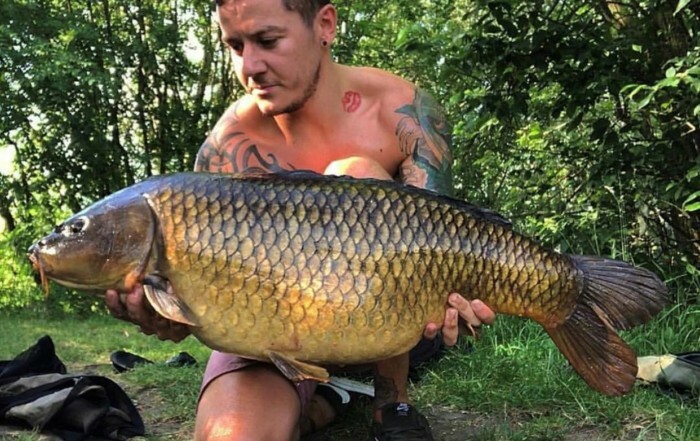 Even though some of us in the new swims struggled for bites it was a pleasure to fish a natural looking ‘virgin’ water and kingfishers, herons and pike kept us amused, especially when pike repeatedly took Trevor’s hard earned fish causing many cries of frustration! Yet again someone managed to loose a rake, not Trevor this time but Kevin S who forgot to hold on to the rope and watched it snake away across the river. Fortunately its recovery was facilitated by the minimal flow and so no damage was done except to Kevin’s reputation. Our next match on 14th October will be on Reach Lode at Upware, which will hopefully be a little less weedy and carrying more water than of late. As usual please book your place via Trevor, details as per the club book. Please note that as of writing the A1123 is scheduled to be closed between Stretham and Padney, meaning you won’t get to Upware via this route from the A10. It is recommended however to check nearer the time (e.g. via https://www.cambridgeshire.gov.uk) for more specific up to date info.